The opioid crisis is in full swing, and is not showing signs of slowing down any time soon. As a result of this epidemic sweeping our nation, healthcare providers have been scrambling to come up with new ways to treat the issue. One of the solutions healthcare professionals came up with is Medication Assisted Treatment, or MAT for short. This method of treatment certainly has its benefits, but it can also have severe drawbacks, if not used appropriately. MAT is a method of using medication to treat opiate addiction, and other disorders, in the course of rehabilitation. 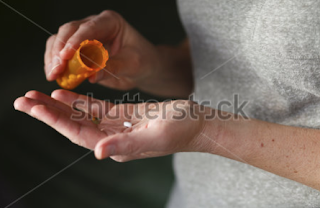 For this article we will focus on opiate treatment. One of the main medications used to combat the opiate epidemic is Suboxone. Suboxone is what’s known as an agonist. Suboxone binds to the same receptors in the brain as opiates like heroin, and oxycodone. There are two separate schools of thought for administering Suboxone. The first, is that it is used in a short taper to help ease the individuals detox symptoms from opiates. This is particularly beneficial because most addicts have a great fear of opiate detox, as it is excruciatingly painful. Often times, an opiate addict wont even attempt to get clean because of the detox symptoms; and providing this as a method of detox greatly eases the symptoms, thus motivating the individual to enter into recovery. The second school of thought, is long term suboxone maintenance. This essentially is the idea that if someone is on suboxone long term, it will keep the individual from wanting to abuse opiates. The reason behind this thinking is two fold: first suboxone simulates the effects of opiates, thus cravings are reduced. The second, is that due to subxones method of action, it is very hard to become intoxicated on opiates whilst on it. However, the main drawback of this type of treatment is that so many providers use it as a sort of band-aid. They give the patient the medication, and send them on their way. This is not an efficient form of substance abuse treatment - because it does not treat the underlying causes of the addiction. No actual treatment of the addiction is involved. If curing the opioid epidemic was as simple as taking a medication every single day, it would have stopped long ago. Due to no actual treatment of the addiction, many individuals on suboxone maintenance will simply stop taking the drug, and begin abusing their opiate of choice again. Long term suboxone maintenance, however, can have its place in opiate addiction treatment. For example: If an individual simply cannot stop relapsing, suboxone combined with actual addiction treatment can be a powerful combination. The reason being is that the individuals cravings can be somewhat managed long enough for them to actually engage in the treatment of the addiction. Once the individual is stable, the provider can then begin slowly tapering them off the medication. It should be noted that since suboxone acts the same way as an opiate does, there are detox symptoms from it as well, when it is used long term. The second medication commonly used in MAT with the opioid epidemic is Vivitrol. Vivitrol is an agonist- meaning it is a blocker. It blocks the opiate receptors in the body, making it very difficult to become intoxicated on opiates while it is in the system. It is a once monthly injection as well, so taking it daily, or suddenly stopping the medication to abuse opiates is not an option. Vivitrol is a valuable tool, in that it is not an opiate like suboxone, and it is time released, so the individual does not have the option of simply stopping, and using opiates. However, it too is not a cure-all. Like suboxone, it has it’s place, so long as the individual is receiving actual addiction treatment alongside of it. Since it is not an opiate, there are no withdrawals from the medication, and it is not a substitute like suboxone. All of these make it the more desirable option when it comes to using MAT in the treatment of opiate addiction. In conclusion, MAT in the treatment of opiate addiction is certainly beneficial, however, it is not a cure all for the addiction. If you or your loved one is interested in MAT, be sure to get informed, and seek treatment in addition to the medication. Disclaimer: The information presented her is only for informational purposes. This is not in any way shape or form medical advice. Before making any decisions, always consult a licensed medical professional.